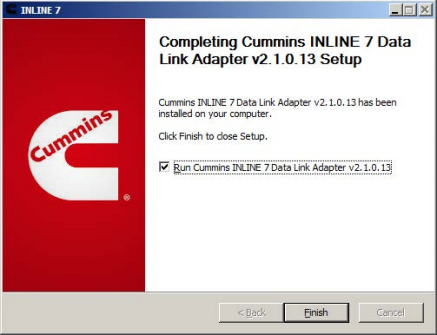 You have to install the Cummins INLINE 7 Data Link Adapter drivers before using it. 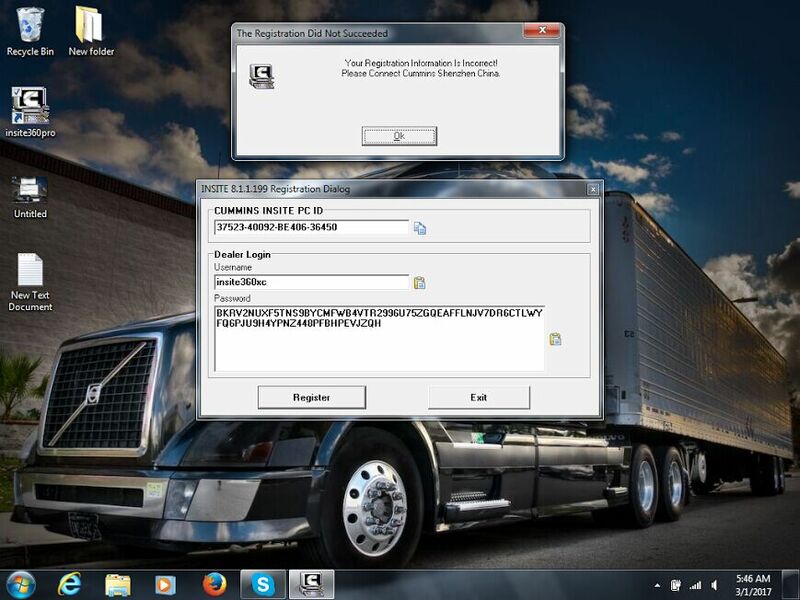 Cummins INSITE 8.3 software which works with Cummins INLINE 7 support Win7 and Win10. There are 9 steps to navigate, please follow on step by step. 2. 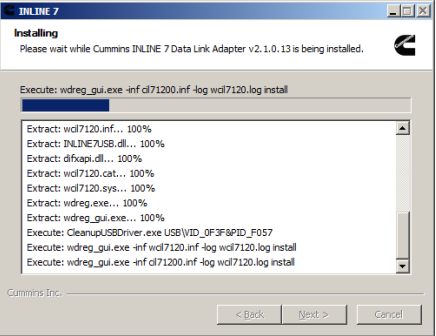 Extract zip and Double-click on the setup.exe file to run the install. 3. The Welcome to INlINE7 Setup screen is displayed and please carefully read the information to follow the recommendations. Then click Next. 5. 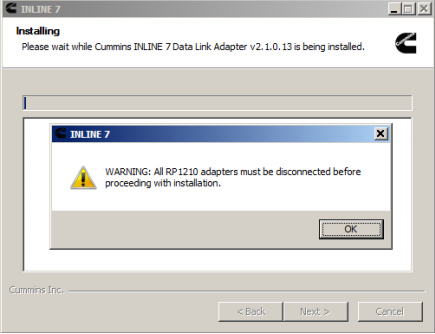 Carefully read the warning message, and disconnect all RP1210 adapters to which your laptop or PC might be connected prior to proceeding with the installation. 6. Once you have complied with the requirements of the warning message, click OK to continue. 7. 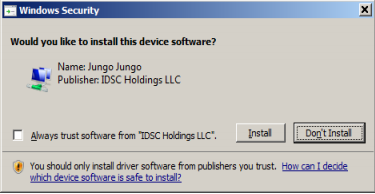 If you are running Windows 7 or Windows 8, the following Windows Security dialog may be displayed. Click install to continue. 8. 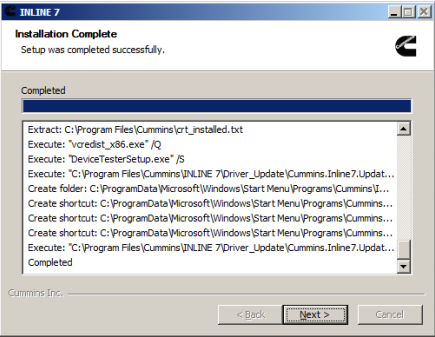 Click Next when the Installation Complete screen is displayed. 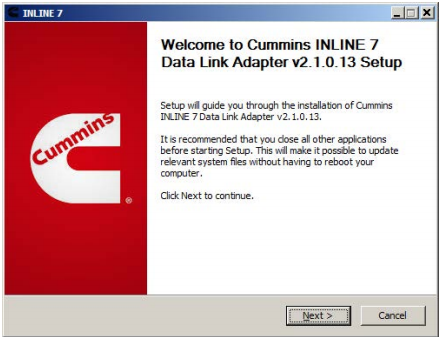 Cummins INLINE 7 Data Link Adapter driver has been installed on your computer that you can use all services of Cummins INLINE 7 on your vehicle. The screen shots may not the newest version, but they have the same process. 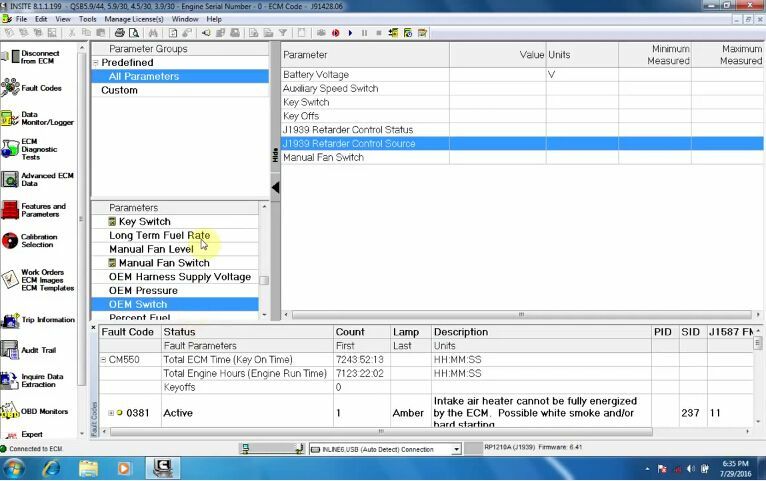 Cummins Insite Manual: How to clear fault codes Download and Setup Crack Cummins INSITE 8.1.1.199 Pro Version Download FULL Cummins INCAL DVD Calibration Files June 2017 How to use Crack Cummins Insite 8.2.0.184 on win 7 8 10? 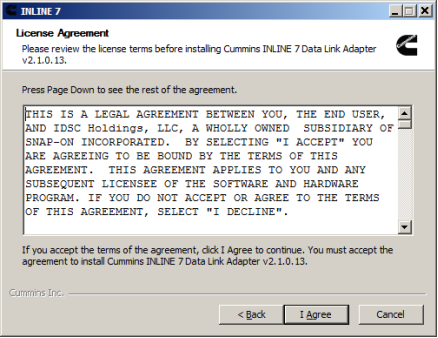 Cummins INSITE 8.1.1.199 registration did not succeed (Solved) How to use Cummins inline 5 data link with INSITE 8.2.0.184 on win7 10? 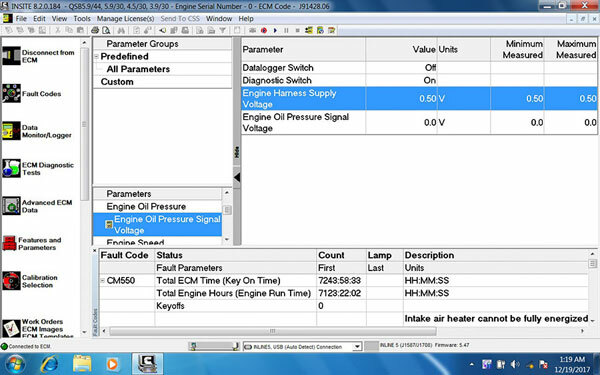 How to use Cummins INLINE 7 Insite 8.3 Crack? 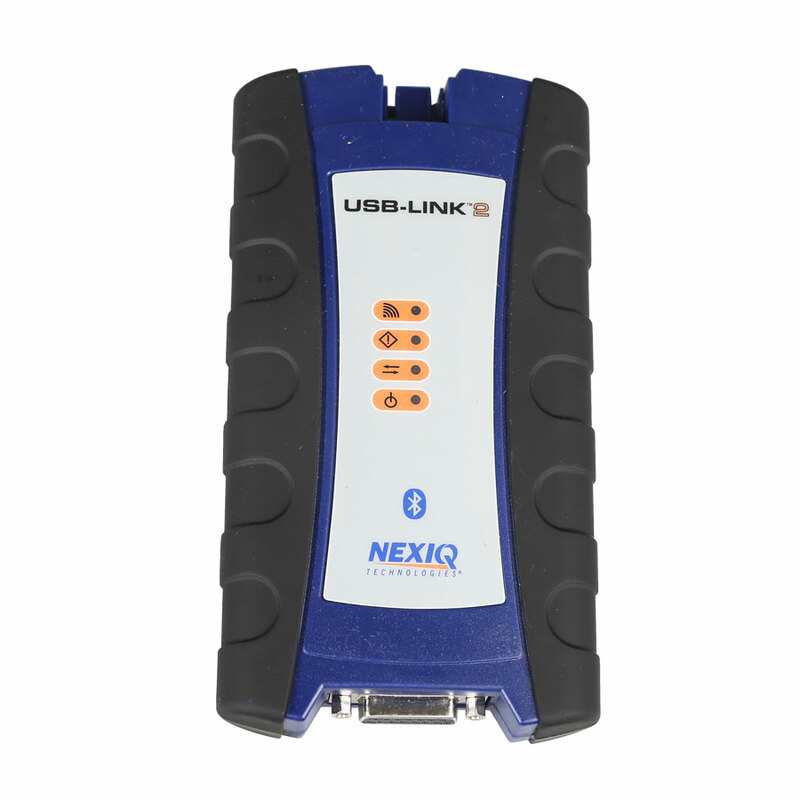 Best place to buy Nexiq USB Link for Volvo PTT, Cummins Insite, CAT ET?